1. A son of Naphtali (Gen. xlvi. 24; I Chron. vii. 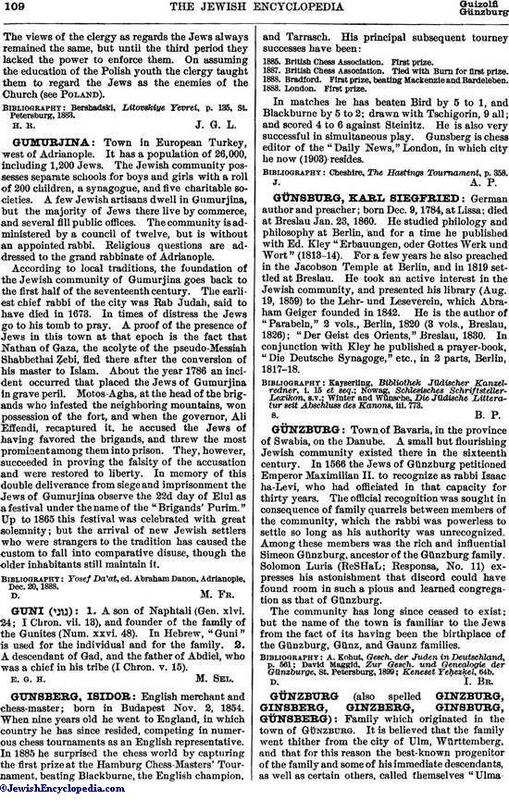 13), and founder of the family of the Gunites (Num. xxvi. 48). In Hebrew, "Guni" is used for the individual and for the family. 2. A descendant of Gad, and the father of Abdiel, who was a chief in his tribe (I Chron. v. 15).